Barbara W Tuchman, A Distant Mirror: The Calamitous 14th Century, 1978. The United States, France, Great Britain, and the Union of Soviet Socialist Republics reconciled their conflicting views, the maximum divergence in legal concepts and traditions likely to be found among occidental nations. 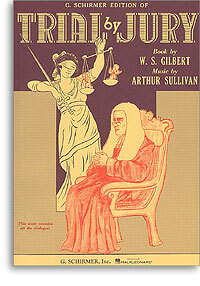 Great Britain and the United States are common-law countries; France and the Soviet Union use the Continental system, the French having its roots in Roman law of the Western Empire and the Russian having been influenced by Roman ideas chiefly from the Eastern Empire by way of Byzantium. The most serious disagreement, and one on which the United states declined to recede from its position even if it meant the failure of the Conference, concerned the definition of crime. 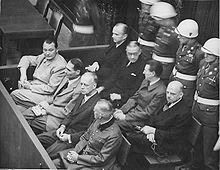 The Soviet Delegation proposed and until the last meeting pressed a definition which, in our view, had the effect of declaring certain acts crimes only when committed by the Nazis. The United States contended that the criminal character of such acts could not depend on who committed them and that international crimes could only be defined in broad terms applicable to statesmen of any nation guilty of the proscribed conduct. Three broad categories of acts are defined as criminal in this code. The first, crimes against peace, consists of planning, preparing, initiating, or waging a war of aggression or a war in violation of international undertakings, or participating in a common plan or conspiracy to accomplish any of the foregoing acts. The second category, war crimes, embraces violations of the laws and customs of land and sea warfare, including plunder, wanton destruction, and all forms of mistreatment of inhabitants of occupied territories and prisoners of war. 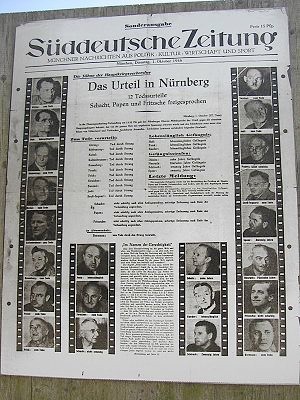 The third class of offenses, crimes against humanity, consists of murder, extermination, enslavement, deportation, and other inhumane acts committed against any civilian population, before or during the war, or persecutions on political, racial, or religious grounds in execution of or in connection with crimes against peace or war crimes, whether or not in violation of domestic law of the country where perpetrated. Report of Robert H Jackson, United States Representative to the International Conference on Military Trials, London 1945. This trial must be tried! This trial must be tried. You're at present in the dark. A cautionary tale of religious extremism, false accusations, lapses in due process, destructive group processes, and governmental intrusion on individual liberties. 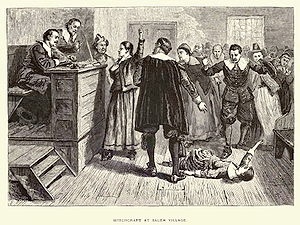 Conducted in Salem Village, Ipswich, Andover, Charlestown, and Boston, charged with the capital felony of witchcraft. Copyright © KeganLaw 2009-2018. All Rights Reserved.